Natasha Miller has been selected as the winner of Fort Air Partnership’s Fresh Air Experience contest. The ‘take a selfie’ outdoor experience contest ran from May 1-28. 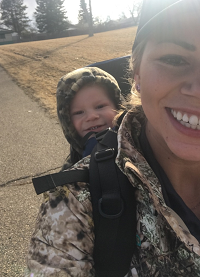 The winning photo was of Natasha and her son Jack enjoying the sunshine along a trail through the RCMP park in in Fort Saskatchewan. The Millers have been residents of Fort Saskatchewan since 2000. Natasha, an employee with EPCOR who enjoys Fort Saskatchewan’s walking and biking trails, said she is familiar with Fort Air Partnership through media reports and was thrilled to win the $250 Walmart gift card. Thank you to everyone who participated in our Fresh Air Experience promotion! Fort Air Partnership Chairman Allan Wesley congratulations Natasha Miller for entering and winning the Fresh Air Experience contest. 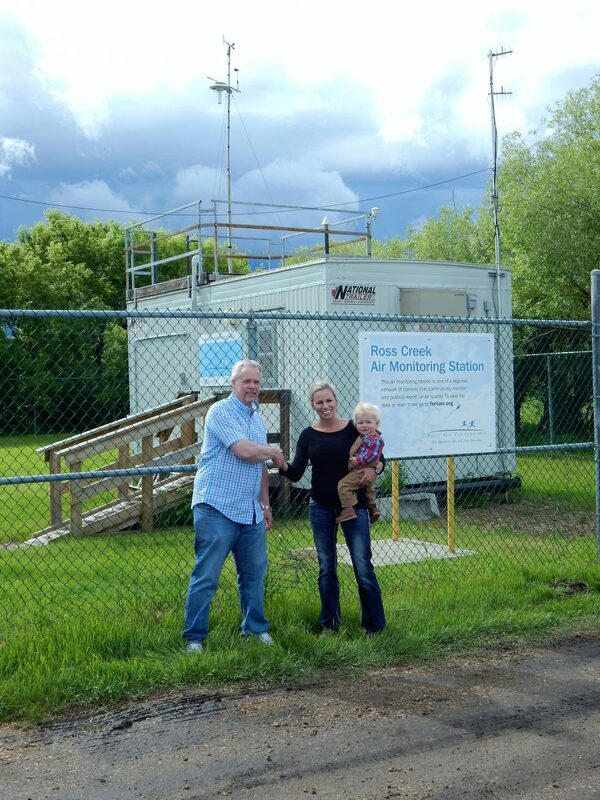 The photo was taken at our Ross Creek air monitoring station, located on the eastern edge of Fort Saskatchewan. June 7 is Clean Air Day. It’s a good time to reflect on the value of clean air and individual activities that impact air quality. Fort Air Partnership is encouraging residents to support Clean Air Day by walking, cycling, rollerblading, carpooling or taking public transit to work, school or leisure activities. To mark the day, the City of Fort Saskatchewan and Strathcona County are offering free transit rides. “Local air quality is at a low risk most of the time in the Fort Air Partnership Airshed, according to the AQHI calculated by the Government of Alberta using data collected by FAP. Clean Air Day gives us a chance to think about the steps we can all take to help maintain the quality of that air,” noted Executive Director Nadine Blaney. Blaney points out that Fort Air Partnership continuously monitors and reports on outdoor air quality in and around the Industrial Heartland. This information, along with a daily and forecast AQHI, is available to the public. The AQHI provides people with a way to gauge the quality of outdoor air, and adjust their level of outdoor activity accordingly.